Are Lithium-ion batteries too pricey for India’s renewable market? It is the season for electric vehicles (EV), or so one would surmise by the enthusiasm around it over the last few months. With enthusiasm come some obvious questions: Where do we stand on battery storage? 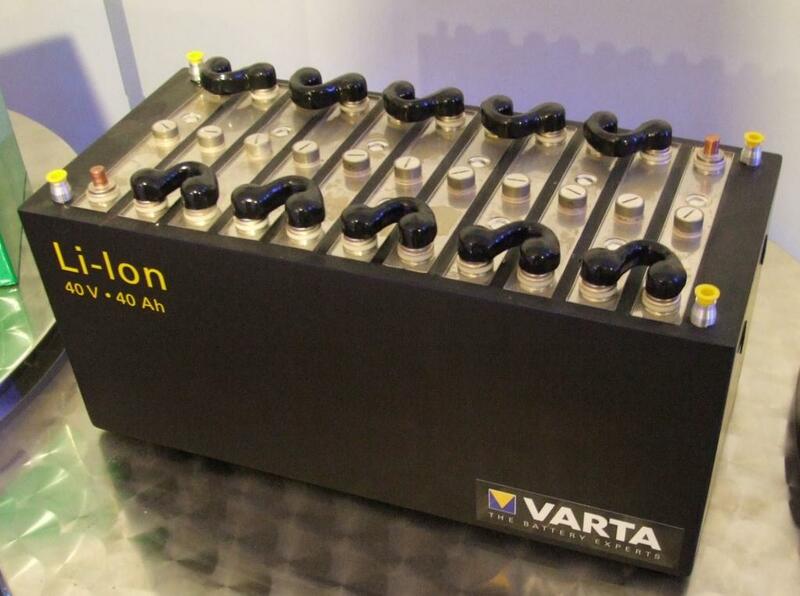 Is lithium ion (Li-Ion) the future in storage technology? The renewable energy market and policy makers have had to ponder over this as progressively more renewable capacity continues to be added to the grid and has brought with it its problems of intermittency and grid management. Multiple tenders that attempted to auction storage on a large scale have consistently fallen through and the question remains, what does it cost to bring batteries into play in the electricity sector? The Energy Storage Conference 2018, a brainchild of the India Energy Storage Alliance (IESA), was held between January 10 and 12 in New Delhi, tried to answer the same questions by bringing in all relevant stakeholders together. Amidst the energetic mix of EV enthusiasts, policy makers and battery manufacturers from all over the world, the question continued to be a running theme. Customised Energy Solution (CES) has a probable answer to literally, a multi-million dollar question—what could the cost per unit likely to be when batteries are used for grid integration, specifically solar? Debi Prasad Dash, Director of India Energy Storage Alliance (IESA), presented an analysis modelled for multiple project cases, considering various technologies and their parameters on the assumption that project lifetime is 25 years, the storage component is sized at 40 per cent that of the solar plant and the battery is a 4MW/4.44MWh (possibly Li-ion) with an 85 per cent efficiency (considered for one technology) and has a price tag of $350/kWh (for Li-ion technologies). 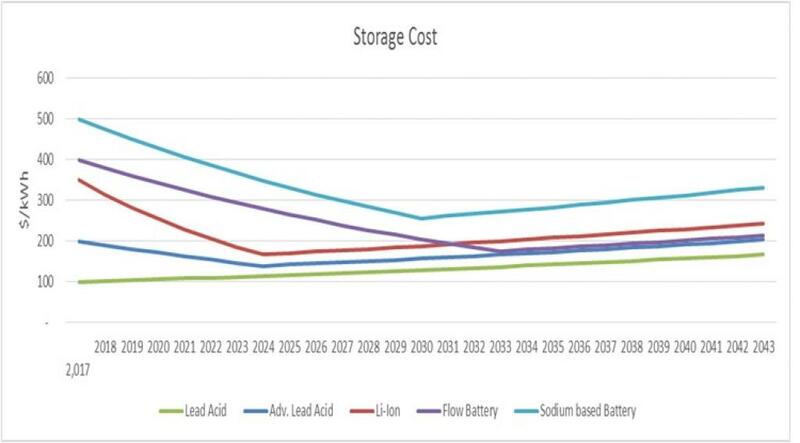 The CES’ projection estimates that the LCOE (levelised cost of electricity) for storage and solar systems is likely to be the most cost-effective if lithium-ion is used, quickly eclipsing cost advantage of lead-acid battery by mid-2018. However, it is to be noted that this analysis is, to a large extent, driven by the CES’ projected storage costs, which estimates that Li-ion will overcome the large price difference ($250/kWh between Li-ion and lead-acid as of 2018) and come close to levelling out by 2024 when their projected price brings the difference down to around $80/kWh. The fact remains that it is, at the moment, the more exorbitant option and there are reasons to question the economic sense of using Li-ion technology. “The high costs are largely due to the high capital expenditure associated with manufacturing of lithium-ion battery,” said Dash. “Coupled with the high cost of debt in India, which is around 12 per cent, it is going to be more expensive initially.” Li-ion battery manufacturing is still nascent in the country and the conversation continues to be in terms of dollars per unit. It is an optimistic projection based on the assumption that the manufacturing will scale up to match the requirements of the burgeoning renewable capacity. At the conference, a sizeable number of the exhibitors were from China, Europe and the US, emphasising that imports will have to quell any immediate large-scale grid integration requirement. Moreover, with Li-ion batteries falling under a GST slab of 28 per cent, the costs could be a lot more formidable than the estimates above. The constant shelving of tenders, which requires a storage component for grid integration purposes, has not put the government off them yet. Discussions on the policy and planning in the conference seemed to highlight the government’s view that grid integration is not a hypothetical scenario anymore. He also assured that storage would be a part of the new National Energy Policy, currently being drafted by NITI Aayog. He was, however, carefully noncommittal about just how much of a role it was expected to play and whether batteries would take centre stage in the story. There was a sense that the government’s view on batteries was lot more restrained than the IESA spearheads. The general assessment is that the battery-based system is competitive in places such as Andaman & Nicobar Islands where it is competing with diesel. However, on the mainland grid, it will have to compete with other storage solutions in play at the policy level. Rahul Walawalkar, executive director of IESA, argued that the economics for batteries is sound. He is exasperated by the fact that the technology is getting so less attention. “There is a 2-4GW market for ancillary grid services that batteries can perform right away. It’s an easy win, a low-hanging fruit that is not being considered,” said Walawalakar. While it is clear that batteries are in the play and are inevitably likely to be part of India’s Energy story, the real question is whether they enter the stage now or in the future and if it is the latter, how long will it be before its economics are attractive for law makers who have to balance their views with the reality of crippling DISCOM debts and costs. Hi, You can visit http://lithiumbatterywale.com for more information.